ONLY A SMALL AMOUNT LEFT! AB CIRCLE PRO gets you off the ground and targets your entire core from one side to another; front to back- a complete 360 degrees! It will help workout your upper, middle, lower abs and obliques, all in one simple, fun, fat burning motion!! 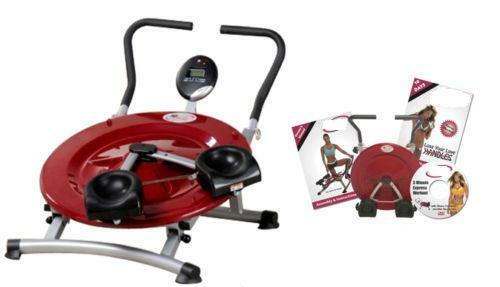 3 minutes on the AB CIRCLE PRO is equal to more than 100 sit-ups! Ab Circle Pro will tone and trim your entire abdominal core area including the oblique muscles! Ab Circle Pro is changing the paradigm of ab machines with its revolutionary circular motion that exercises your entire abdominal core area as well as the hard to target oblique muscles on your sides. Unlike most floor ab exercises that work your body forwards and backwards, neglecting your oblique muscles, Ab Circle Pro works the abdominal muscles as well as obliques due to its rotating, twisting action. Lose those love handles with Ab Circle Pro, the ab machine that will blast fat and tone your body in just minutes of exercise a day. JUST 3 MIN A DAY - THIS IS ALL YOU HAVE TO DO. ONLY 3 MIN = 100 SIT UPS. * This exerciser helps you exercise in all possible postures of the workouts. * The users report online in their comments that they could see its results in a few days only. They also lost 10 pounds in 2 weeks only. * It helps you do even the intense cardio workouts without any professional trainers. * In place of long hours in the gym, you need to give only 25 minutes to the Ab Pro. * Its key feature is the friction free track that helps you workout the sides of the waist as well. * This exerciser helps you workout even the tough portions of the body fat like hips, thighs, lower abdomen, etc. 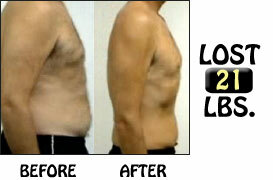 * This product comes along with a DVD that trains you many new & effective exercises. * Also it comprises of nutrition guide that helps you eat healthy & balanced.